About 10 months ago, Jeff Hellermen, the IT Director at Mungo Homes, contacted us to explore our DBA as a service options—here, Jeff explains why he decided to outsource his database administration needs and what the results have been. How did you first get started with Kopis? Initially, I sourced Kopis as a team that could do some BI work for us. We wanted custom reports that weren’t available in our ERP system, which we love. It’s a powerful system called Kova that’s custom-made for home building companies, but reporting isn’t its strong suit. Kova is based on SQL, so I needed a team that was intimately familiar with SQL report-writing. I was impressed with Kopis because they didn’t try to reinvent the wheel or rebuild the entire software system when we were happy with most of it. They just fixed what needed to be fixed. We ended up creating a data warehouse, which was also built on SQL. Several times a day, information gets extracted from the ERP system and put into the data warehouse so our reporting remains current. So, explain how this one-time problem-solving assignment transitioned into an ongoing relationship for DBA Managed Services. What led to that decision? Actually, Kova came back to us and recommended that we enlist the services of a DBA because we were growing at a rapid pace, adding new information to our data warehouse…exponentially. We didn’t have a DBA on staff, and DBA services aren’t part of what Kova provides—they want to focus all their energy on creating a great product. We were also importing historical data from our old ERP, which was a proprietary software and not SQL based, to Kova. We imported everything market by market. 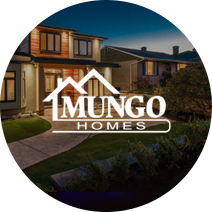 Mungo Homes is active in five distinct markets, but our main market is in our home town of Columbia, SC. We started importing in the smaller markets first, learning important lessons and ironing out the kinks in lower stakes areas before implementing across all markets. Still, when we got to Columbia, everything blew wide open. That’s when Kova came to us and said they had concerns about corruption unless we got an experienced DBA on board. At that point, I figured I had two choices. A cloud-based service like Amazon RDS for SQL Server. Or Kopis. I was incredibly happy with the work Kopis had already done for us, and I knew that their team was familiar with the ins-and-outs of the databases for both systems, the old ERP and the new one. Plus, for me, there’s a lot of value and a comfort-level in partnering with a team I can meet with face-to-face if needed. I know I can outsource anywhere—but why when I can get the same reasonably-priced skill set here in the southeast? You say that you had two options, but wasn’t there a third? Did you consider hiring a DBA in-house? No. I never considered hiring a dedicated DBA for several reasons. First, we run lean at Mungo Homes. We have about 300 employees and an IT staff of two. Myself, as IT Director, and a Network Administrator. I didn’t want to incur the expense of hiring a dedicated DBA for the limited amount of time that we would need DBA services. Payroll taxes, benefits, training. Financially it makes a lot more sense to outsource as a cost of doing business rather than hiring as a specialized resource. Secondly, hiring a good DBA for a project like this isn’t really fair to the DBA. In the IT industry, skill-sets tend to be siloed. When someone is a proficient DBA, that typically means that they are highly specialized and want to do specialized work. Hiring a specialized DBA to do 10-12 hours of DBA work a month and then filling up the rest of the time with general IT work—you’re going to lose your DBA. Finally, when you outsource to a company like Kopis, you get the added benefit of more than one DBA, which means you have 24/7 monitoring and built-in backup if someone goes on vacation, gets sick, or has to leave the company. Having that skill set in-house, all that knowledge residing in one person, can feel secure, but it’s actually more risky and dangerous. It opens your company up to lots of vulnerability. How did Kopis get started with their DBA managed services? Can you describe the process for us? Well, the process was fantastic. We sat down together and hammered out all of our requirements and expectations for the services. We figured out hours a month, best practices, and reporting, then came to a recurring cost agreement. For the first month or two, we spent a significant amount of time optimizing our databases and right-sizing things. Kopis did a lot of extra work upfront, including lots of health checks for the first six months to make sure that we were getting started on the right foot. Have there been any problems along the way that Kopis has helped you solve? Honestly, we haven’t had any real problems because of all the time that Kopis put in at the beginning to establish best practices. I am grateful that we got them enlisted early enough to avoid any significant issues. They made recommendations, implemented a plan of action, and then jumped in with both feet. The service includes a monthly review, which is about a 12-page status report explaining what they’ve done and their recommendations. Kopis set up a system where they flag red, yellow, green—critical, warning, acceptable—so we can see potential problems in advance. We are always in the green now. The Kopis team handles everything for my database work, from nightly backups to optimizations and long term storage retention. We keep 7 days of nightly backups rolling every four weeks, our month end backups rolling every 12 months, and our yearly backups forever. This is an example of a best practice they put into place early for optimal data loss prevention. Kopis has also employed excellent monitoring tools on all of our databases and servers that alert us and ask how to proceed when a certain threshold is met. For example, because our database is growing exponentially, we often need to truncate logs to keep server disk space from filling up. Or, when doing a copy backup, sometimes support staff will inadvertently leave their copy behind and it will start filling up the hardware. Kopis catches this kind of thing early and will free up disk space or for more complicated issues do a scheduled downtime to fix the problem. Without an experienced DBA, companies run in reactive mode. By staying on top of our databases and preempting problems, Kopis keeps Mungo Homes running in a proactive way rather than in a reactive way. Overall, how would you describe your relationship with Kopis? Pleasant and profitable. Everyone I’ve dealt with at Kopis is likable and easy to work with, and I know my staff feels the same way. Our controller, who took the reins on the BI and data warehouse projects, she and one of the DBAs at Kopis are now fast friends who tailgate to Clemson games together. More importantly, the work has been steady and dependable—we’ve gotten a consistently high level of service across the board. It’s much easier to sleep at night when you know that your database is being taken care of by high-quality, outsourced support staff.